Now let's see the next one. 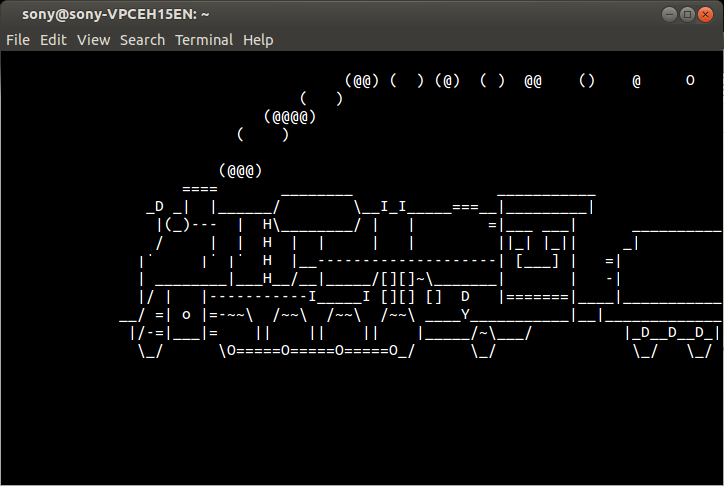 What do you see command line star wars. Wonderful, isn't it. 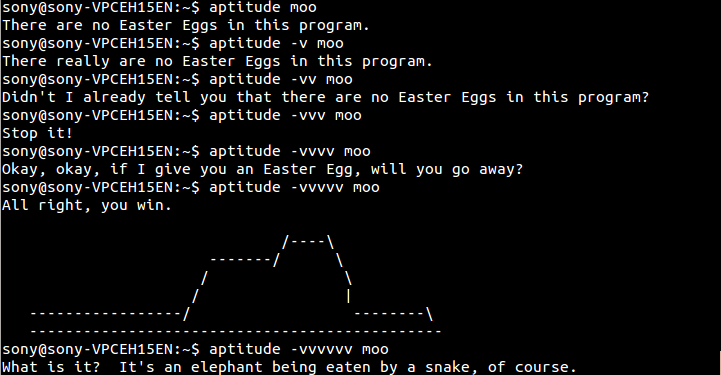 I'll leave the output for yourself. Let's see another one. This one is about incorrect passwords while using sudo command. Now close the terminal and open another terminal. Now type an incorrect password and see what it says. Nice post. I've tried all of them. I like the star wars one.